In this blog post we will be showing you a simple checklist that is designed to compel you to ruminate about some of the most important considerations when setting up a new Aquaponic system. Our checklist is created for hobby, home and school scale systems that have one hundred gallon fish tanks and sometimes even larger. This checklist, however, will not thoroughly cover the planning needed for commercial scale systems or small farm scale systems. 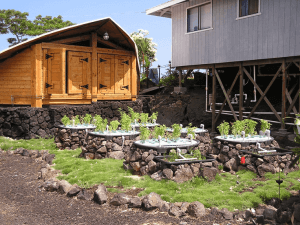 So regardless if you are planning to buy a complete Aquaponics system or build your very own system, we strongly suggest you peruse through this list so you can better plan your system. Extracting information from this checklist is highly recommended since this can be very helpful for our team when we are assisting you so we can make sure that we are giving you the best possible solution to meet your needs and goals. Have you ever tried participating in a reputable training course in Aquaponics? It doesn’t matter if you are taking classes in Aquaponics from us or from other companies, regardless we highly suggest that you try several hands-on trainings with professional instructions that are actively growing with Aquaponics for a minimum of three years. It is very important that you collect as much reliable information as you can before you make a commitment to buy or build your own Aquaponics system. Are you the type of person who likes to do Do-It-Yourself projects? Or are you the type who prefers to buy something that is already designed? This is one of the most important considerations you have to make before you start with Aquaponics. 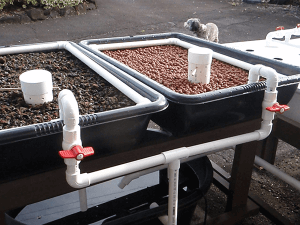 Do know that DIY Aquaponics can be really fun and not to mention rewarding most especially if you make it successfully to its completion but a word of warning though, DIY Aquaponics takes a long time to make since you will be figuring it out on your own. If you are in a hurry and if you can’t wait for your Aquaponics system to be set up then you should go for a proven system that comes with a set of instructions as well as technical support. But whichever you choose you can rely on us as we provide individual components and complete systems to cater to whichever path you decide on. You can read one of our articles to learn more about the basic aquaponic gardening rules of thumb for DIY aquaponics. Are you always traveling? Are you constantly away from your plants and fish for long periods of time? Even though there are things that are already automated, a conventional system will often require to be attended to on a daily basis even if it’s only for a couple of minutes. If let’s say you are not going to be around your system, it would be a great idea to ensure that you have someone you can depend on who is trained and who knows how to take care of your system if in case you’ll be out travelling. 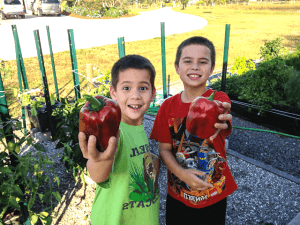 Do you have goals for your Aquaponics system? If so what are they? This may cause you to ask a series of questions like: Do you intend to grow a wide array of food weekly for your family’s needs? Are you only tinkering and experimenting? Do you intend to eat your fish? Another question is what is the whole point of all this, what are your plans for your system, why are you doing this? All these questions should be thought out carefully so you can plan and strategize your system appropriately. These are very important pieces of information for us to know so we can assist you to ensure that you get only the best system to meet your growing objectives. Do you have the necessary finances to buy the equipment you need both at the start as well as constant supplies needed like supplements and fish feed? The size of your Aquaponics system will have to depend on your objectives and goals. It could range from a couple hundred bucks to thousands of dollars. It is also worth mentioning that the scale of your system as well as your management of it will also necessitate continuous financial support to cover for additional expansion just in case and the cost of supplies and utilities. You can read one of our article that will show you an initial and ongoing costs for choosing your grow light. How much space are you willing to dedicate for your Aquaponic environment? This question not only considers the size of your Aquaponics system but also you need to look at the area if you can effortlessly move around so you can have access to your grow beds and your fish tank. Without a doubt, it is indeed handy to have a small work surface but you also need to plan for possible expansion in the near future. So basically, if you have intentions to expand your system in the future then might as well consider very carefully the space where you will be putting up your system. You can make use of our Space Planner to have an idea of some of our already set up Aquaponic systems that are designed in various configurations to suit your preferences and your needs. Can your floor support the weight of your Aquaponic system? Bigger home systems can be very heavy. You see, a gallon of water weights around 8.5 pounds almost nice so if you have a two-hundred-gallon tank with a sump tank and two media bends then it will probably weigh more than a ton. A bigger system like that is best placed on ground level especially on a concrete pad or any reinforced floor system that can serve as its weight. Is your floor easy to clean whenever it gets wet? Did you notice that we didn’t use the word “if” in this sentence? This is because at some point water will really get to your floor whether it’s an accident or not. Most of the time water gets to your floor in cases of overfilling like if you fill your system with too much water or if your fish splashes water around when you feed them. Regardless, we want you to know that if you have an Aquaponic system it is very likely that your floor will get wet. This is the reason why we suggest that you settle your system on a surface that can easily be cleaned and that you don’t mind getting wet. Simply put, do not put your system on the carpet of your living room. Is fresh water easily accessible to you? Is it nearby? Once you have an Aquaponic system you need to know that your system will frequently require water refilling because of natural losses through transpiration and evaporation. It would be convenient on your part if you have a source of fresh and de-chlorinated water found near your system so you can fill and top off water without hassle. Do you have a washbasin near your system? This is an excellent item to have and it comes very handy when you are washing your test equipment, your nets, your product and most especially your hands. Do you have several GFI outlets accessible? We highly recommend that you use GFI protected outlets. These items protect you from the possibility of electrocution since you will be mixing power with water. We also strongly recommend that you place your outlets away from the floor or off the floor and it has to be above the water line. Is your electrical service dependable? If your location rarely gets any power outages then it is very likely that you’ll take this one for granted. But do know that this should be a primary concern for individuals in many different parts of the world and it can really negatively impact your system. That is why it is very important to have a dependable backup power. You should find other alternatives if in case your location gets regular power outages. Is your system in a secure and safe location? If you have pets around and if you have little children then it should be your primary concern to check for possible hazards to both your pets and your children as well as to your system. It is important that you know that the risk of drowning and accidental electrocution is very real if your children are playing around your system unsupervised especially if they are active children who likes to climb around the system the same goes for your pets. If they are tinkering with your system this can also create unwanted repercussions such as the death of your plants and pet fish. Are you going to put your system outdoors? This will have to depend on your climate. If your climate can accommodate it then you can have the option to grow your system outdoors for the rest of the year but you also need to ensure that your system will be safe from natural predators like raccoon who are fond of eating prized koi and fresh fish. A lot of Aquaponic system owners share this concern. What is your water source? You have to know where your water comes from and not just that you also need to know about the quality of your water, as these two are very important. You need to provide your fish and your plants with a good source of de-chlorinated water and it would also be great if you have tested your water source for any possible toxins, presence of heavy metals, hardness levels, contaminants as well as its pH level. Knowing all these will allow you and us of course, to decide on a proper filtration system to make sure that only good and quality water are channeled to your system. Does your environment have sufficient ventilation? It is very important that you make sure that your system has adequate ventilation. It is imperative that you ensure the regular exchange of fresh air to manage temperate and humidity levels as well as other factors that might affect your plant’s quality. Does your environment require cooling or heating? This would depend on your building or room or climate, as a system owner you need to offer both cooling and heating solutions so you can regulate air temperature and optimize the conditions within your system for your plants. Do you have a source for cooling and/or heating? There are actually a number of ways for you to cool or heat your environment; ways that you need to consider and research like geothermal, shade cloth, radiant heating and natural gas among others. Are you going to need to heat the water? The answer to this will have to depend on the question prior to this question and it will also rely on the type of fish you want to keep in your system. A good range would be a water temperature of sixty-six to seventy-four degrees Fahrenheit but then again this would have to depend on the type of fish you want to raise. You can also read this article to get an idea on where to get fish for your aquaponics system. If your answer to the previous question is yes then do you have a source for heating your water? There are plenty of options for heating like natural gas, solar thermal, electric heat and propane. Sometimes heating may also need a combination of different methods. Are there sufficient amounts of natural sunlight for your plants? Around ten to sixteen hours a day? If your system is in your garage or in your basement then you will require artificial lighting. Again, this will depend on your climate because if your climate were not suitable for growing your system even if you are in a greenhouse then you would still be required to have artificial lighting. You also must consider your seasonality, building, plant selection, system orientation, climate zone and your overall goals for your system. You can also read this article to learn on how to create a lighting setup that is suitable for your own growing environment. What type of plants are you planning to grow? At this point if you are still unsure then don’t worry that is perfectly okay. But you need to know that the type of plants you choose to grow has a huge influence of the kind of system you will eventually end up buying. Media beds are essential to our systems and with this you can grow a wide array of crops very easily. 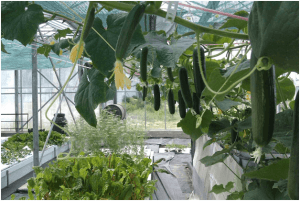 Generally, media beds are by far the most flexible and versatile as it can work really well for long term fruiting crops like cucumbers, peppers, and tomatoes. What works well in Deep Water Culture troughs are Kale and Chard and other leafy greens like the different varieties of lettuce. But if you can have a combination of both, a media bed as well as Deep Water Culture within the same system the better. You can also read one of our article to know more about aquaponics plants. You need to know what type of plants you intend to grow and when you want them to grow as these considerations will affect your choice of temperature, lighting system and nutrient requirements among others. What type of fish you do you plan to keep? Your choice of fish is also crucial and there are also quite a number of factors you need to consider like what species are locally available in your city? Are these species of fish permitted? Are you going to raise edible fish? If it isn’t part of your plan to eat your fish then maybe a better option is to go for Koi. You see, fish are categorized by temperature and each distinct species has its own required temperature range that is ideal for their growth and their health. Take for instance trout. Trout are cold-water fish and they prefer a temperature of fifty to sixty-five degrees Fahrenheit, as it’s highest. Another example is tilapia. Unlike your trout, tilapias are warm-water fish that loves a temperate of seventy-two to eighty-two degrees. The kind of fish you will decide on will influence the temperature of the water in your system and it would also influence the need to heat or cool your water. There are actually so much more you can learn about fish species in Aquaponics. You can also read this article to determine the kind of environment your aquaponics fish must have. If you have plans on making your own system then these components will be very useful. Our comprehensive systems contain all the principal components you’ll ever need when building your own Aquaponic system. Furthermore, we’ve also included some additional options for you to choose from. We’d like to think that the components of a typical Aquaponic system are software and hardware. The software components are the supplies you need to optimize and manage your system on a regular basis. The hardware components, on the other hand, represent all the equipment and materials you need to physically construct the Aquaponic system. Once again, this list is created to be simple so you can recall all the necessary supplies and components you may need soon as you start building your own Aquaponic system. Some of the things listed here may only be optional since it will depend on the type of design your system has and its requirements. Water Quality Test Kit – This is a Master API kit that is very affordable. You need this to test critical water quality parameters. Cycling Kit – You need a cycling kit for the safe introduction of your fish into the system. This is a source of nitrifying bacteria and a source of ammonia needed to jumpstart the nitrification cycle. pH Adjusters – If you have an Aquaponics system you need to constantly adjust your pH level as part of managing your system. There are several pH adjusters that are tailor-made for Aquaponic systems. Testing and Monitoring Equipment – There are quite a number of water quality parameters that are very crucial to be able to monitor factors that are beyond the scope of your Master API test kit like iron, dissolved oxygen, temperature and many more. Fish Food – As soon as you have your Aquaponics system set up you will need a constant supply of fish food. We can provide you with USDA certified organic fish feed but we also offer conventional fish feed for those who like to go for the traditional feed. Feeds come in a variety of pellet sizes and each one is made to meet the specific nutritional requirements of your fish depending on their growth stage. Fish Care Products – Examples of fish care products include thermometers, fishnets and therapy solutions. Gardening Supplies – Examples of gardening supplies include sprayers, and pruning shears among others. Pest Management Supplies – As an Aquaponic system owner you will need several pest management supplies because pests can ruin your plants and eventually this can lead to a domino effect that can also result to the death of your fish. There are very specific products you can use that are safe for Aquaponic systems. Seeds and Seed Starting Supplies – You will also be required to have a constant supply of germination trays or a seed starting kit and seeds to help your plants grow to a good start. Now that we have finished discussing and enumerating our software supplies we will now go to the hardware supplies or the pieces of equipment and materials you need to construct and put up your system. The following are the components you need for your Aquaponics system. Grow Bed or Grow Beds – Examples of grow beds include wicking beds, DWC (Deep Water Culture) or Media beds. Grow Bed Stands – The stands are needed to support the weight of your grow beds. Sump Tank – This one is optional and it will depend on the quantity of your media beds. Plumping Pipe and Fittings – Your plumbing pipe and fittings will depend on the type and number of grow beds you have and system layout to name a few. Stand Pipes and Siphons – These are the tools you need to have in order to flood and drain your media beds. We highly recommend you use bell siphons since you can utilize them in almost all systems. Water Pump – The size of your water pump will depend on the required tank exchange rate, the number of grow beds, pump head height the widths and the number of fittings and your plumbing lengths. Filtration System – This is an active carbon filter or a de-chlorination solution given to detoxify incoming water from chloramines and chlorine that can destroy your bacteria and your fish. Aerator, Air Stones and Airlines – These are needed for your Deep Water Culture Beds and your fish tank. Grow Lights– Grow lights are optional depending on the availability of sunlight and the location of your system. Liner – Again this is an option if you are building your own Deep Water Culture troughs and custom tanks. Heating Elements – Heating elements are also optional depending on your fish species, and water temperature and the capacity of your system to maintain consistent temperatures. Grow Media – Examples of grow media include inert media, expanded clay or shale. Monitoring Systems – There are plenty of options you can find here depending on your current situation and your desire to maintain remote control of system parameters. Vertical Systems – These are also an option if you want to use vertical space. Backup Systems – Back up systems are optional but it is strongly recommended in cases of power failure and power outages so you can save the lives of your fish. Timers and Controllers – These are needed for pumping and lighting and other systems that need occasional operation. Now you are ready to build and grow! We are hoping that you will find this startup-planning checklist helpful to get your supplies, space and your equipment organized before you start building your system. The succeeding steps are made to get your system constructed, flowing water and cycling and adding fish species and plants to your system.